According to a recent release, the 2019 Acura RDX was heralded by U.S. News & World Report for being an ideal luxury compact SUV for families. 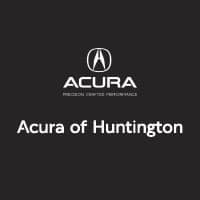 As your Huntington Station, NY Acura dealership, we are thrilled to offer this model on our lot and share more information about everything that it has to offer. Come see this beauty in person today here at Acura of Huntington! The 2019 Acura RDX has been a top-selling model in its segment for nine consecutive record months – and for good reason! Families across the nation are falling in love with this vehicle and its leading-edge technology, which includes the invaluable suite of AcuraWatch® systems designed with your safety in mind. This recent achievement is hardly a surprise for Acura dealers because we’ve fallen in love with this car too. The compact SUV earned the highest composite score from U.S. News & World Report editors for safety, all-weather confidence, super-handling all-wheel drive, and other capabilities that make it safe and enjoyable as a family SUV. Each year, vehicles are picked by the publication from 11 segments based on features geared toward the needs of a family. Another perk is that this model has the power to handle New York winters, but also the efficiency that you’re going to want for summertime traveling. Underseat storage, high-tech entertainment systems, and excellent ratings from the IIHS are just a few of the many things to love about the 2019 Acura RDX. If you’re ready to shop for your new Acura car, come on down to our Huntington Station Acura dealership. We highly recommend this compact SUV, and we look forward to working with you today and every day that you continue to drive an Acura vehicle. Visit us soon!